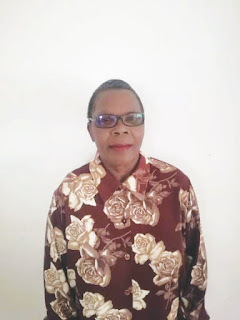 SHURUGWI – War veteran, journalist and teacher Kate Catherine Gaza has called it a day as a District Development Officer for Shurugwi. Gaza who headed the department in Shurugwi since 2006 retired in February this year and has now set her eyes on farming. She will move to her Sefago Farm and lead a quiet life away from the madding crowds of politics. Last week she afforded The Mirror a glimpse of her 28 years in Government and walked the newspaper through the highlights of that long journey. Of all the things, Gaza says she misses the days when politics did not interfere with Government work. She said that the years up to 2002 saw a lot of development taking place in the communities because civil servants were allowed to implement projects without getting political instructions or directions. She said Government officers worked without fear of stepping on powerful politicians’ toes. “I miss the days when politics was not involved in Government programs. We worked without fear of stepping on anyone’s toes. Our focus and conscience as civil servants was to foster community development and during that time the nation saw a lot of progress,” said Gaza. She described the introduction of youth officers in Government as tragic adding that they caused divisions and acrimony particularly in the Ministry of Youth, Sports, Arts and Recreation. She said that all respective Ministers appointed to the Ministry of Youth, Sports, Arts and Recreation listened to the youth officers more than they did to the civil servants thereby politicising Government projects. “The worst move during my stay in Government was the introduction of youth officers. They had no defined roles, they did not know their duties and as a result they stalled development by causing divisions and acrimony in Government. All five Ministers who came to the Ministry of Youth, Sports, Arts and Recreation trusted youth officers more than civil servants,” said Gaza. Gaza was born in Harare in 1959 and she went to Umkondo Mine Primary School in Masvingo then Gazaland Secondary School in Chipinge. In 1977 at the age of 18 she left the country and joined the liberation struggle where she trained as a fighter for six months. She later trained as a teacher and started teaching military cadres. After the war she joined the Ministry of Local Government and worked as a development officer. She looks back with pride at the number of schools and clinics built in Chikomba District during her time. She moved to Shurugwi in 1991 where she worked as a journalist in the political affairs program and the youth and gender program. She became a senior youth officer, and in 2006 she was appointed acting youth development officer. Gaza was one of the founders of the Tongogara Community Share Ownership Trust and was among those who opened Dadaya Training Camp. “I now want to live a quiet life at my farm. I just want to stay away from politics and focus on farming. I will invite you to the farm after six months and you will see for yourself how this place would have transformed,” Said Gaza. Gaza has been replaced by Tovonga Mufarachisi as the new youth development officer for Shurugwi and the appointment is with effect from March 1 2019. Mufarachisi was the arts, culture promotions and development officer for various departments in Shurugwi. Mufarachisi was a teacher at Shurugwi High School in 2008 before he became the district education office’s arts and culture officer He moved to the Ministry of Sports Arts and Culture as arts culture promotions and development officer in 2013.